Release date : September 25, 2015. This film is the true events that happened on the morning of May 10, 1996. It tells the story of climbers from two expeditions start their final ascent toward the summit of Mount Everest, the highest point on Earth. With little warning, a violent storm strikes the mountain, engulfing the adventurers in one of the fiercest blizzards ever encountered by man. Challenged by the harshest conditions imaginable, the teams must endure blistering winds and freezing temperatures in an epic battle to survive against nearly impossible odds. This film is executed well and was well-received in 72nd Venice International Film Festival. However if you are a movie goers who expect to feel good with a nice happy ending probably this movie is not for you. The acting of the casts was incredibly-good. You actually feels like you are in the mountain with them. Especially for Jason Clarke who acted as Rob Hall and for Jake Gyllenhaal as Scott Fischer who can makes the audience cries many times during the film. The film shoots in Italy and Iceland and also Nepal. The cinematography is very catching to the eyes. 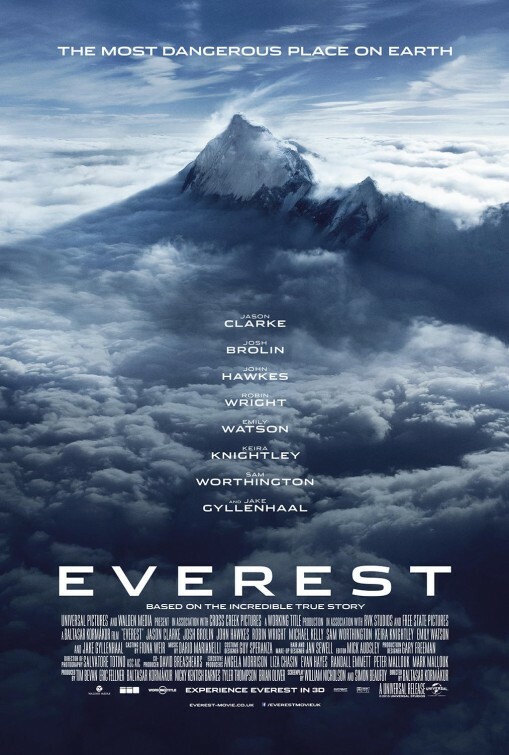 Friends who have been to Everest feels the movie is well researched and real. Anna-Rose and Katyana are films reviewer.